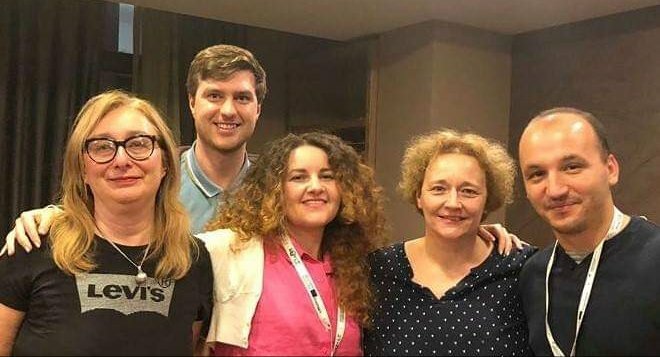 In the last week during the seminar held in Tirana, many discussion were about the role of youth work preventing youth going through a radicalisation process and path. We had discussed also about how deal with youth coming back from an experience of radicalisation. Research Fellow @GinaAVale joined a @trtworld panel on Monday night, discussing how to deal with European minors returning from Islamic State. This panel is bringing some interesting elements of discussion and some more elements for plan the role of youth work in the return process. During our seminar in Tirana, we had the pleasure to have Mr Werner Prinzjakowitsch representing RAN Network. RAN is a network of 5000+ frontline or grassroots practitioners from around Europe who work daily with people who have already been radicalised, or who are vulnerable to radicalisation. 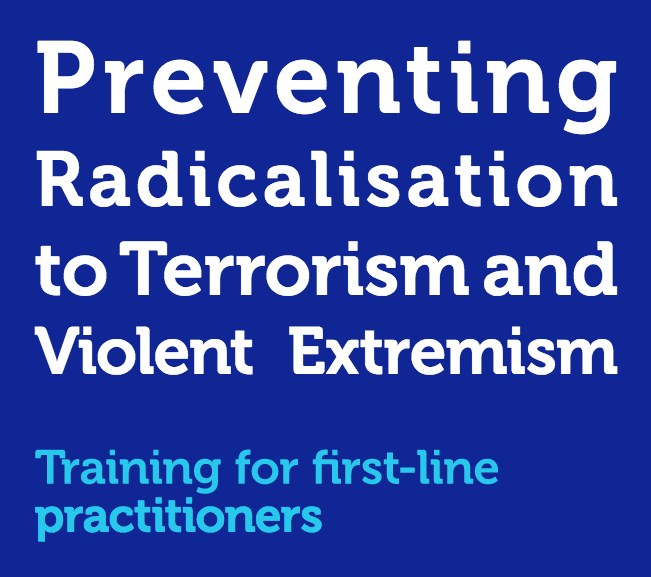 Practitioners include police and prison authorities, but also those who are not traditionally involved in counter-terrorism activities, such as teachers, youth workers, civil society representatives, local authorities representatives and healthcare professionals. These practitioners combine their knowledge and share information during working groups. Werner is the chair of the RAN working group about Youth, Families and Communities and I work for the Centre of Excellence supporting the network and its actions. “ Building young people’s resilience against violent radicalisation: The role of informal safe spaces to have difficult but respectful conversations within the formal educational environment. 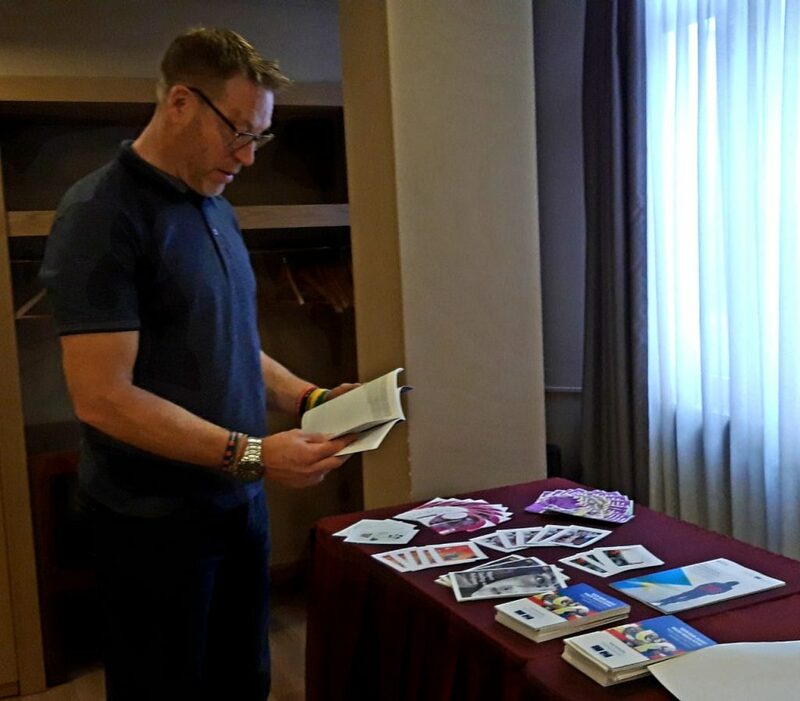 Here the video interview about his experience and the practises presented during the Seminar: Building young people’s resilience against violent radicalisation, in Tirana. Suddenly there was silence. We were playing the ‘statement game’, an interactive evaluation tool, where participants are asked to show how much they agree or disagree with a statement by positioning themselves in the one or the other side of the room. Some minutes before, the group had stated unanimously how useful it had been hearing about other people’s success stories and visiting local organizations in Tirana. So, what are the constraints making us hesitant over how to translate ideas into practice? 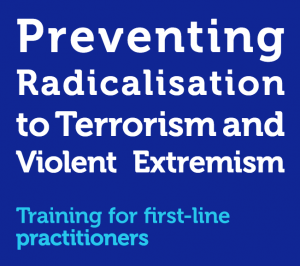 It has become understood that the prevention and combat of radicalization calls for a cross-sectorial approach, based on a coherent, community-oriented methodology, with full awareness of both the sensitivity and the multifacetedness of the subject. In this process, youthwork should be involved in the agenda in a regular, consistent and sustainable manner, so that it can have a concrete, tangible and long-term effect. The discussions throughout the seminar, both in the plenary and during the field visits, showed that there is still a lot to be done on how to bridge the gap between theory and practice, research/needs analysis and local action, youth policy and grassroots youthwork. Although there is an international will to tackle radicalization, what is still lacking in many countries, especially in the western Balkan region, is a concrete, comprehensive and cohesive agenda, based on a youth-oriented strategy and evidence-based methodology. Consequently, it is beyond doubt there is gain in collecting and exchanging good practices, which can allow us to have access to information and tools on what is available, what can be adopted and how we can work with each other in order to have better results. Participants conveyed through their answers their motivation to work on reducing these gaps through their own role and on finding ways to overcome challenges. The last session of the seminar focused on addressing our own fears and constraints, developing strategies on how to communicate our work, finding partners to support our follow-up projects and learning from each other. Radicalization grows and feeds itself within group dynamics, therefore preventing it is also a matter of collective work. During the Seminar, youth workers and practitionaires were sharing their practises and experiences with their collegues. In brief, we are sharining some interviews of the presentors introducing their tool and their experience. ‘Some years ago, we were thinking there wasn’t a need for such an institution. Social and geopolitical developments in the last years, however, have shown that having a Center for the Prevention and Countering of Violent Extremism in Tirana is indeed relevant and needed for the wider region’. With these words, the National CVE Coordinator, Mr Agron Bojati, started his presentation about the establishment and agenda of the center in Albania. Radicalization of youth, as Mr Bojati, explained, is owed to a number of factors, which are not necessarily directly connected with ideology. Poverty, unemployment, lack of opportunities and quest of ‘belongingness’ are the major reasons driving young people in the Western Balkans to become radical. These factors, often in combination with a distorted understanding of religion, lead to radical ideologies and consequently, extreme behaviors. –Radicalization is a process, which takes time and grows slowly but steadily. Therefore, the prevention of radicalization through youthwork should be a constant, cohesive and sustainable procedure, with a long-term plan. –Personal relations play a vital role. Many people embrace extreme ideologies out of a need to belong to a group, to be accepted and to have a purpose in life. Practitioners working with youth can make a change in their communities by creating ‘teams’ and providing safe spaces where youth can express themselves, socialize and get motivation. –Radicalization and extremism are closely connected with the economy. It is usually poverty opening Pandora’s box and driving young people to search extreme ‘solutions’ in their daily challenges. A ‘smart’ investment on youth and education can have a rewarding effect for the community and the region, as a whole. Words have weight. The very same words, however, can have a different meaning and value for each one of us, depending on our experiences, environment and ideology. The term that dominated the discussions yesterday afternoon was ‘radicalization’. But what exactly is radicalization? Radicalization is not a fact. It is not a situation. Radicalization is a process. There are various factors allowing radicalization to grow, such as the individual’s sociopsychological state, society, ideology, religion, identity or the social media; none of these parameters, however, works on its own; it is always a combination that leads to radical behaviors. As our expert explained, radicalization both starts and develops within group dynamics; it gets stronger through personal relationship. Therefore, how can we prevent or reverse a situation before it becomes consolidated? 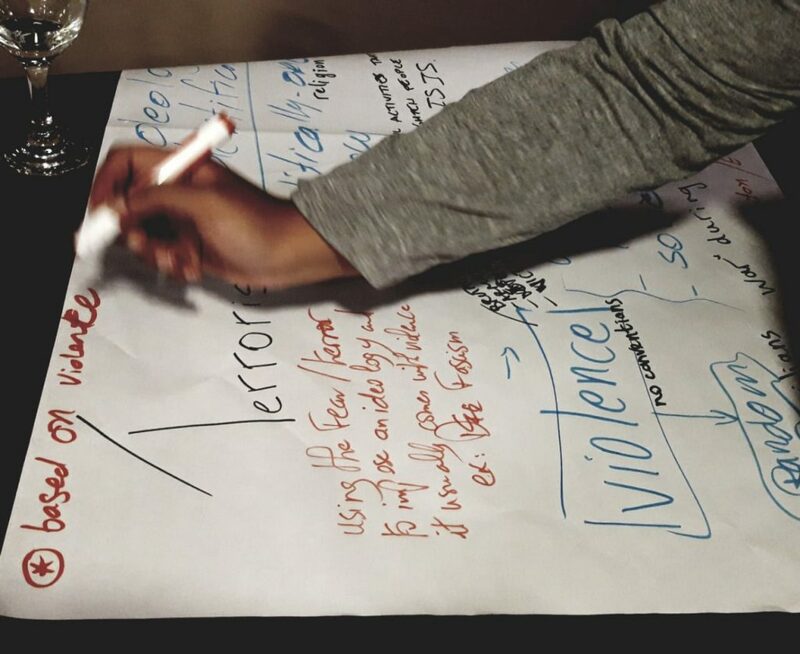 The group discussions leaned towards the same outcome: by following the same path that allows radicalization to grow in the first place, but this time, in order to change the story. In other words, the prevention of radicalization is also a process involving constant and cohesive work, commitment, professionalism and knowledge of the reality of the young people we are working with. Participants discussed that radicalization can also be positive, when it comes to promoting peaceful, democratic or healthy values. As it was said, ‘it is violent radicalization or radicalization leading to extremism and terrorism that should be combatted. Following these very fruitful discussions, the morning session of the second day was dedicated to good practices for the prevention of radicalization. The floor was given to participants of the seminar, who presented their projects in small groups, using a variety of methods: presentation of research and academic input, interactive workshops using non-formal education techniques, group discussions and video projections. Tomorrow, theory will turn into practice. Participants will have the opportunity to visit organizations in Tirana and get a taste of grass roots youthwork in the prevention of radicalization from local practitioners. These are only some of the open-ended questions heard in the opening of the seminar in Tirana this morning. The answerare probably as diverse as the group itself: participants coming from almost 20 different countries, each one representing a different reality. The participants’ responses at the world café, where they were asked to comment in small groups on notions such as ‘extremism’, ‘resilience’, ‘terrorism’ and ‘radicalization’, show that each one of us has a different understanding of the same ideas, based on our cultural background, social values, ideology and work setting. ‘what we all share in common is the fact that we are all working with youth. And we are all searching for ways to make our work more effective’. When asked what they expect to gain from this seminar, most participants replied that they see this event as an opportunity to network, exchange good practices, get new ideas and learn from each other. These are all tasks requiring cooperation and sharing, not only among youthworkers, but also with other actors related to youth. In the introductory speeches, it was already mentioned that a cross-sectorial approach is needed in order to strengthen youth work and make it more productive. What was also emphasized is that new challenges call for novel approaches and fresh ideas: ‘We need to ask questions, constantly ask questions and this is what we will do during these days’, Federica Demicheli said before closing the session. Therefore, if we are to choose some key-words to express the key message of the morning sessions, then these are: ‘together’, ‘new’ and ‘questions’.